This year, it is expected that $2.6 Billion will be spent on trick-or-treat, which is a lot of money. If we as a nation are spending that much, we might as well get it right. 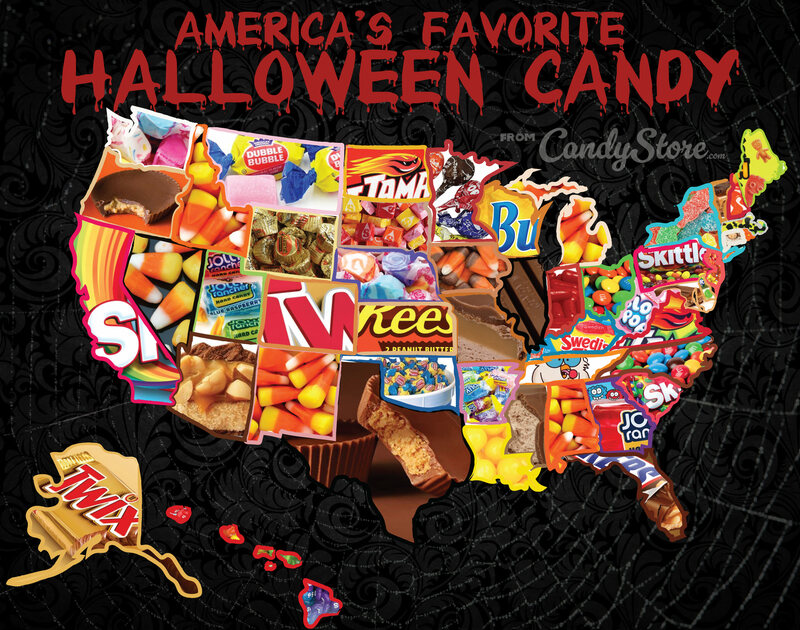 We gathered 11 years of data and made this map of 2018's Most Popular Halloween Candy in America by state to help you choose wisely. 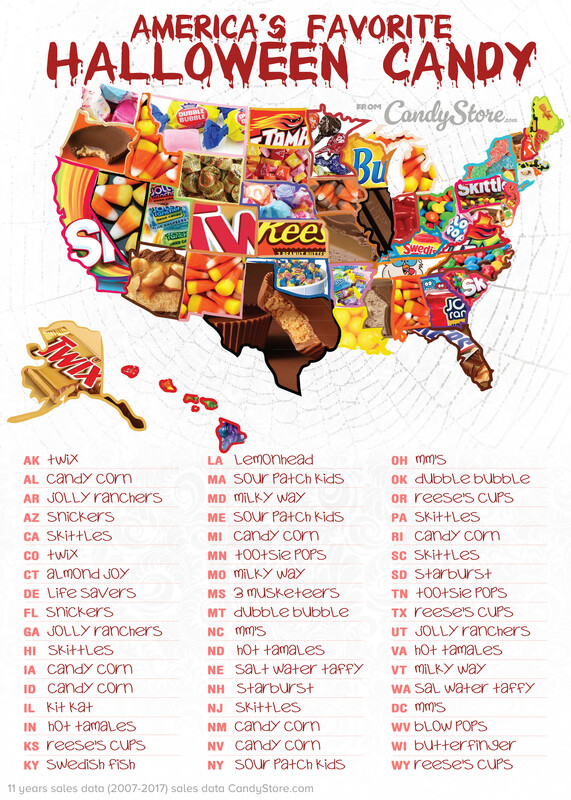 Hover over the map above to see the top 3 most popular Halloween candies in each state. Do your state’s choices surprise you? 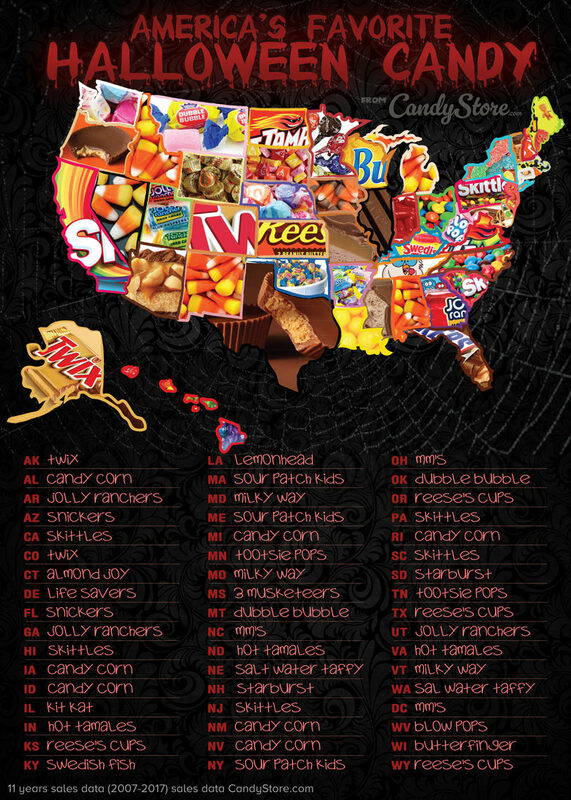 The top Halloween candy in your state are not always what you think they were. Salt water taffy and Hot Tamales performed much better than some expected, for example. Hoda and Kathy Lee loved our map! We have seen a lot of surprising favorites and least favorites over the years. That’s why working with unbiased data is so much fun. We looked at 11 years of sales data (2007-2017), looking in particular at the months leading up to Halloween. We sell nationwide (and to Canada) so we broke down our sales by state. We also have relationships with major candy manufacturers and distributors – all of whom contributed and helped us verify our conclusions. 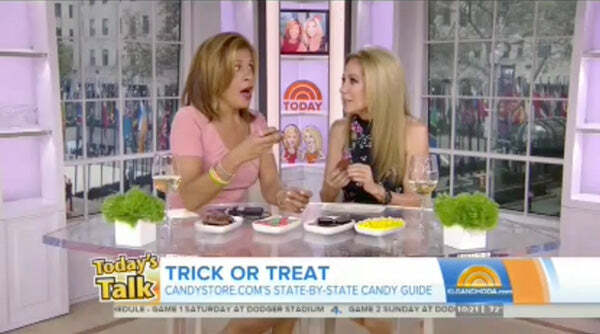 This year, the National Retail Federation is estimating that shoppers will spend $2.6 billion on Halloween candy. That is lower than their $2.7B estimate last year. With consumer confidence at it’s highest point in a September since 2004, fueled mostly by low unemployment and low inflation expectations, we feel like 2018 sales could be even bigger. Industry research showed in 2015 that online candy sales were increasing by 15 percent. People are realizing they can save time and money by skipping the store and purchasing from the comfort of their home. But will you buy the right candy? Have a look at the candy your state loves. Let us know what you think in the comments below. Twix has come back! 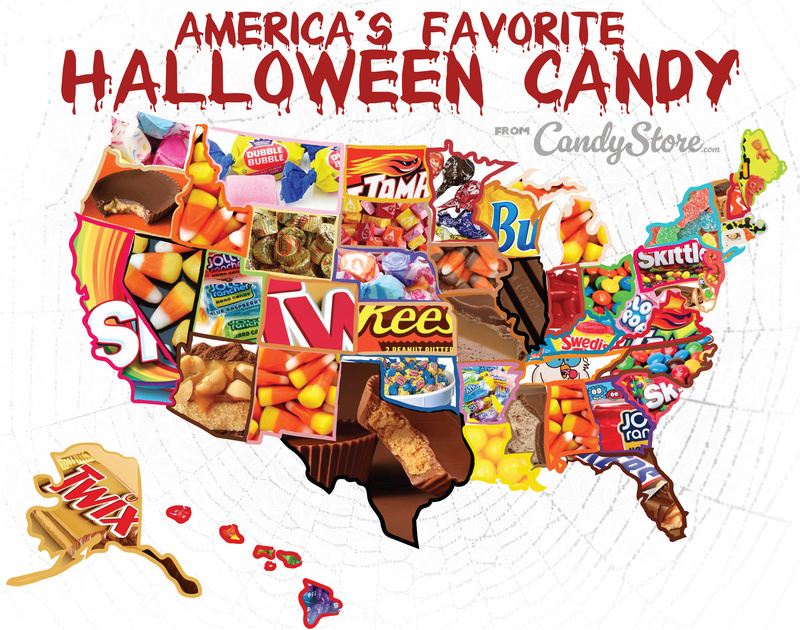 Colorado’s most popular Halloween candy has changed again this year. Last year, Milky Way overthrew Twix in the mountains of Colorado. Now Twix has re-taken the lead! Things keep Breaking Good for candy corn in New Mexico on Halloween. It has remained as the top candy in the state known as the desert-filled setting for Breaking Bad. You won’t need an RV to make yummy candy corns, just buy them from us. :) Less hassle. Oh, Jolly Ranchers are also moving up in NM. They have seized the #2 spot, kicking Milky Way back to #3. More than 1,100,000 pounds of Reese’s Cups are consumed in Texas around Halloween. Last year’s winner, Starbursts, retain the #2 spot. Texans can proudly stock up on Reese’s Cups or Starburts for trick-or-treaters, but might be best to offer them more than a lone starburst! So how did we do? Did your personal favorite match your state? Where’s the breakdown by province? In some states it’s legal to burn someone’s house to the ground if they hand you candy corn. Missourians HATE Milky Ways! I don’t agree with this AT ALL!!!!! I live in Western NC and we also live Dove Chocolate! Unfortunately Salt Water Taffy is not packaged for Halloween distribution.